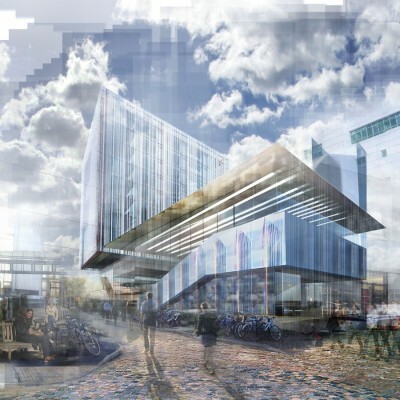 Feilden Clegg Bradley Studios have recently won the architectural competition to design a series of specialist lab buildings, a new hub space and associated connecting atria. 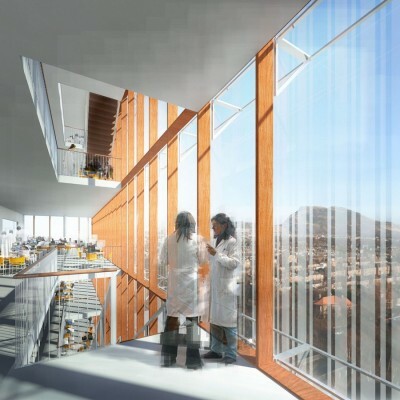 The commission also includes the major renovation and recladding of an existing 1960’s laboratory tower at the centre of the School of Biological Sciences’ Campus. The FCBS team are supported by Belfast based architectural practice Ostick and Williams, to provide lab expertise and WYG for all engineering services. The University of Edinburgh has sought to modernise the Darwin Lab building for a number of years. The current proposal envisions the buildings major renovation and recladding to improve the prominent building’s appearance and environmental performance. The renovation of this 10,000 m2 10 storey tower, the development of two other lab buildings totaling 4,300 m2, a new 2000 m2 hub building containing meeting rooms, offices and catering facilities and a large connecting atria space offers the opportunity for the SBS to consolidate their research activities in state of the art facilities that by virtue of their adjacencies support collaboration and cross disciplinary work. The scheme which is currently in its brief development phase is likely to be complete by 2019. This is a significant project for Feilden Clegg Bradley Studios as it builds on the laboratory work completed for UCL’s Nanotechnology. This is also the first major commission for the practice in Scotland. The re-clad tower, hub and atria building will knit the SBS estate together.